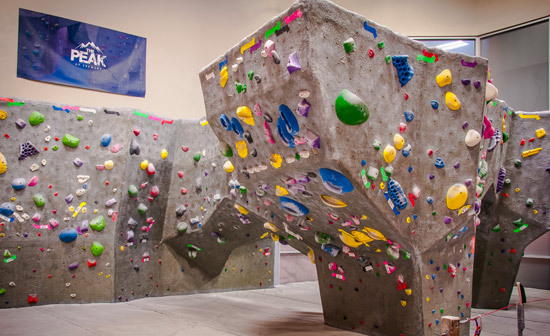 Unlimited rock climbing, access to fitness equipment, LED Moonboard, free belay class, free rental gear, guest pass privileges, discounts, and 20% off* Campo di Bocce of Fremont restaurant. *Discount is not applicable for events. Discount is only applicable for members. Unfortunately, you cannot sign up online. Come in and see us in person! We’d love to meet you. I’m a member. How do I freeze or cancel my membership? We accept account freeze and termination requests via email or in person at the desk. All status change forms must be completed on or before the 15th of the effective month. I’m a member. How do I use my awesome guest pass privileges? Unlike any other climbing gym in the Bay Area, we allow our members to bring 1 first-timer each day of the month free of charge. It’s simple. If they haven’t climbed at our gym, they’re free (and we even toss in a harness!). The only charge they will incur is rental chalk and shoes if they so choose. In addition, your account is loaded with 1 Free Guest Pass per month that you may use on anyone at any time. Guest passes do not rollover. When you sign up for an auto-billed membership you are required place a credit/debit card on your account. Once your account is established your month fee will be charged on the 20th of every month. If the 20th falls on the weekend, your account will be charged on the following Monday. Absolutely! We offer some amazing guest privileges. Members can bring 1 first-timer guest per day for free. It must be your guests first visiting The Peak to take advantage of this perk. Additionally, members receive 1 electronic guest pass per month that they may use on anyone at any time. All member guests receive a harness for free but are required to pay for chalk and shoes if needed. *Discounts are only applicable for members and may not be used for events. *Special Memberships include Military, First Responder, & Teacher.